Fall is here and our next trunk show of the season is happening this weekend at Bellagio Art to Wear. You definitely don’t want to miss this one. Jewelry designer Terri Logan will be joined by clothing artist Mieko Mintz to show off their newest creations. You’ll love the thoughtful interplay between nature, color, and texture in both artists’ work. 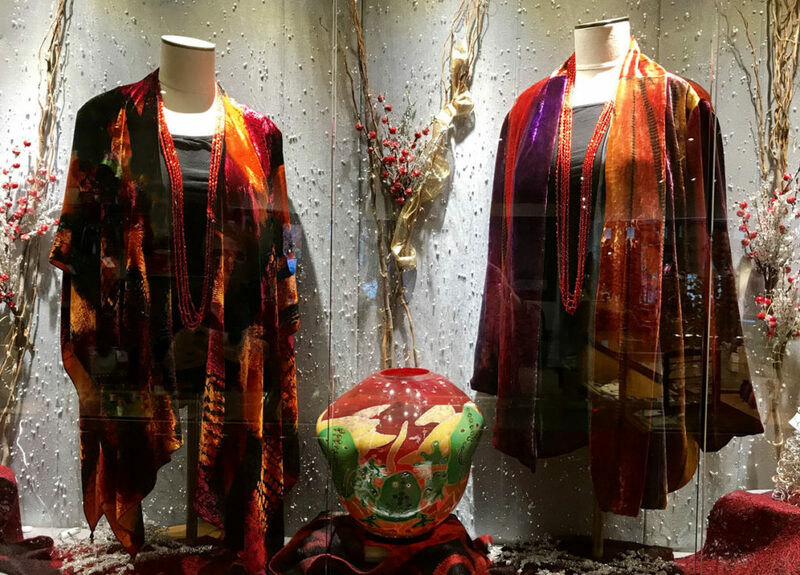 Come by during regular hours to browse the trunk show and discover some exquisite new items to add to your fall wardrobe, and be sure to attend our “Meet the Artist” reception on Saturday from 4 to 6 PM. Both Terri and Mieko will be here to share their stories and inspiration, plus answer questions you may have about their process or specific pieces. PS> Be sure to add our October trunk show featuring Elizabeth Garvin & Michael Kane to your calendar. Click here for details. Fabulous Fall Trunk Shows are Coming to Bellagio & You’re Invited!